Contains a blend of natural digestors, designed to digest, liquefy and clean organic waste, paper, detergent, grease, hair, fat and other wastes to free drains, pipes and grease traps. Very effective odor control. 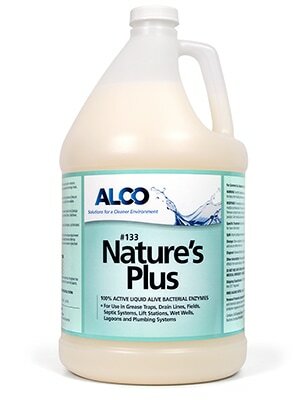 Nature’s Plus is biodegradable, phosphate free, non-toxic and non-polluting. There is no risk of dowstream contamination and will not harm animals or marine life.